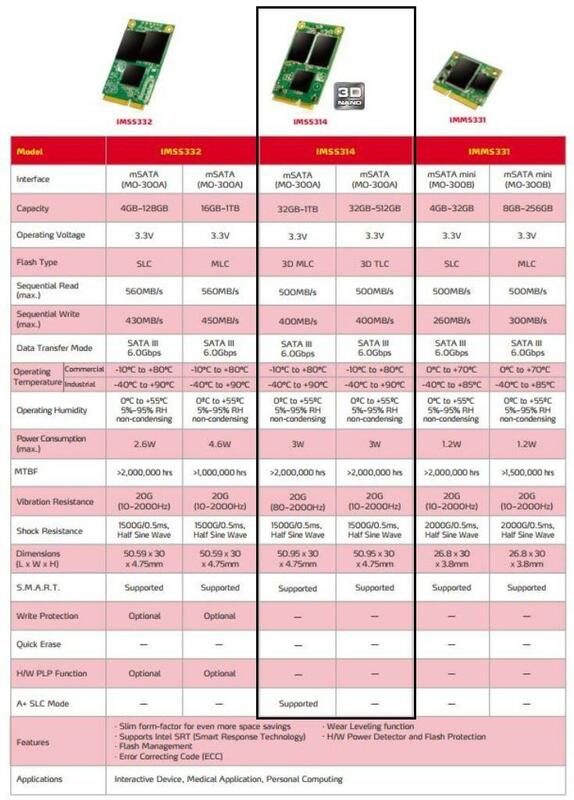 ADATA once again expands its industrial-grade flash storage line-up and this time for the mSATA SSD form factor as ADATA introduces the IMSS314 mSATA SSD. The ADATA IMSS314 is available in 3D MLC and 3D TLC variants to offer builders flexibility. Using SATA III 6Gbps interface, the IMSS314 puts up an impressive speeds of up to 500MB/s read and 400MB/s write. The ADATA IMSS314 being industrial-grade packs improved vibration, shock and weather resistance which a wider temperature tolerance as well. 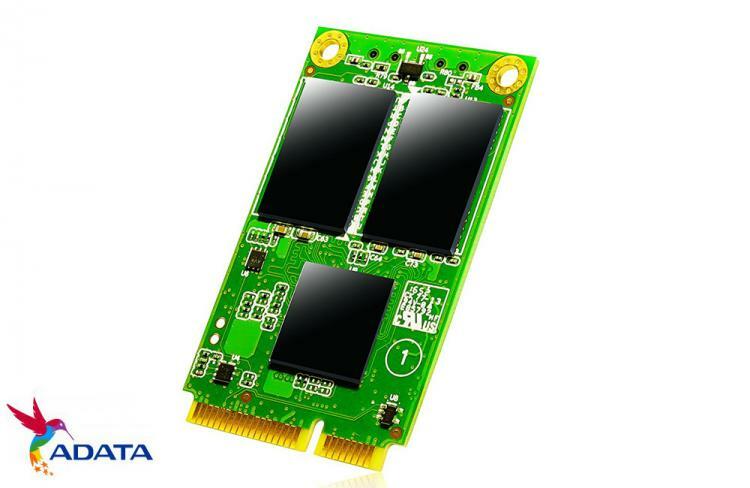 The 3D NAND flash chips that goes into the ADATA IMSS314 mSATA SSDs are meticulously-sorted to build the best and toughest mSATA SSD. Powered by a Maxiotek controller, the IMSS314 pumps out up to 500 MB/s read and 400 MB/s write. The IMSS314 passes strict standards ensuring durability such as a wide operating temperature range from -40 to 90 degrees Celsius and humidity range of 5% to 95%. Likewise, shock resistance stands at 1500G/0.5ms and vibration proofing at 20G (10-2000Hz). The ADATA IMSS314 3D MLC variant is now available in 32GB and 64GB capacities with an MSRP of $39.99 and $57.99 respectively. The 3D TLC variant is available in 128GB, 256GB and 512GB capacities, no pricing information as of this writing.